At Coastal Rooter in Chula Vista, we provide the best water heater care for the lowest price amidst our competitors. Our incredible prices still guarantee 100% customer satisfaction. Our Licensed Water Heater Specialists are always prepared and capable of providing the assistance you need to ensure that the water in your home or business is hot when you turn the hot water on. Best of all, we’re available 24/7 to provide immediate water heater repair care, quick and safe servicing, or complete water heater installation. No need to wait! Call Coastal Rooter Now – Our licensed water heater technicians are ready for the call! There’s nothing more important to us at Coastal Rooter than the safety of you and your home. That’s why each of our trusted licensed water heater specialists has had more than 10 years of experience and we retain a 5 star rating for 100% customer satisfaction. With quality trained professionals and many years of experience, you and your home are in good hands with Coastal Rooter. 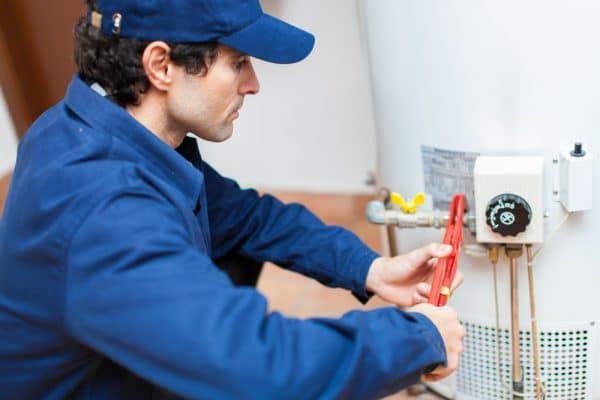 At Coastal Rooter, our hot water heater specialists are the best in the business here in Chula Vista for diagnosing and repairing water heaters. Each of our experienced technicians are licensed and trained for every possible problem that could be occurring with your water heater. Feel free to learn more about what could be wrong with your water heater based on the questions below. If any of these thoughts run through your mind, then Give Coastal Rooter a Call Today! My Water Heater is Leaking. My Water Heater Pilot is Out. My Water Heater Overflow Valve is Leaking. Tankless Water Heater isn’t working. While we always prefer to provide hot water heater repair Chula Vista, sometimes it’s necessary to replace the current water heater or insert a new one altogether. This is when look at our options of water heater installation Chula Vista. While prices vary, we always offer the best deal with a new heater and accessory parts (if necessary) that will work effectively for years to come. The longer your new water heater lasts, the more you can believe and trust in our services. That’s why our water heater specialists always recommend the best products to fit the needs of you and your home. Every Water Heater Installation comes backed with our 100% customer satisfaction guarantee. That includes our fast, friendly service to get you back to your daily life smoothly and painlessly. Call Coastal Rooter in Chula Vista Today! For the Best Water Heater Repair Chula Vista, California – Call Coastal Rooter at (760) 235-4088 – Your Trusted Licensed Water Heater Specialists. At Coastal Rooter, we provide accurate estimates for our water heater services and work effectively to ensure the lowest possible cost for homeowners like yourself in Chula Vista, California. Give us a call today for your water heater repair, installation and servicing needs.